The Guilds set standards for the food, drink and manufactured goods they sold and had powers to enforce them. They trained apprentices and supported their members in sickness and old age. When there was no consumer protection or social legislation, they performed a valuable and stabilising role in London. In the middle ages each Guild developed its own distinctive clothing, a gown (or livery) granted by the City for its exclusive use and from the 1500's onwards, the Guilds became known as Livery Companies. 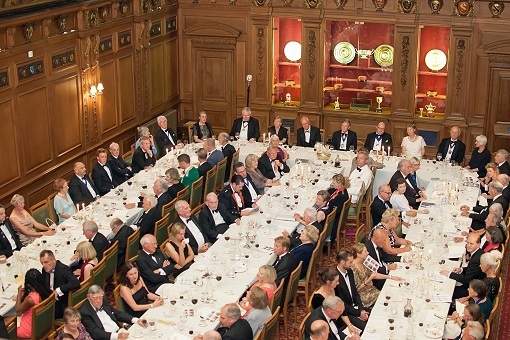 The strength of the Livery Companies of the City of London is that they continue to evolve with the formation of new Companies associated with modern developments, such as the Information Technologists, numbered 100 in order of precedence, the following later taking their place; World Traders, Water Conservators, Firefighters, Hackney Carriage Drivers, Management Consultants, International Bankers, Tax Advisers Company and the Security Professionals, bringing the current total of Livery Companies to 108. Several modern English expressions come from Livery Companies: 'masterpiece' was the work submitted by a craftsman to become a master; the Skinners and the Merchant Taylors fought over sixth and seventh place in the Lord Mayor's Show of 1483 and the Lord Mayor ordered them to take it in turns, hence the phrase, 'at sixes and sevens'; 'a baker's dozen' numbers thirteen as bakers added an extra loaf to a dozen for fear of giving short measure. 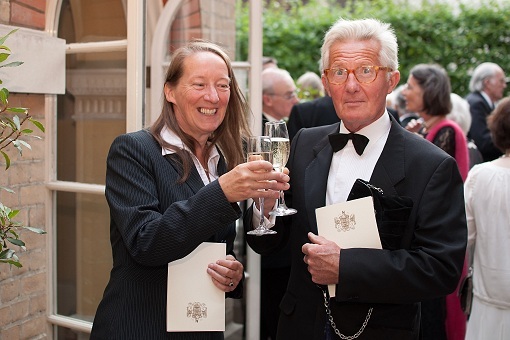 Many Livery Companies, including the Basketmakers, who still maintain close links with their trade, continue their centuries-old interest in education with support for a very wide variety of schools, colleges and universities. The City and Guilds Institute was founded during the 1800's as was the City University, thanks to large contributions from many Livery Companies. The Worshipful Company of Basketmakers was constituted by the Court of Aldermen in 1569, granted a livery of thirty in 1825 (in more recent years extended to five hundred) and received its Royal Charter from George VI in 1937. The senior officer of the Company is known as the Prime Warden. The Company was formed to regulate and control the basketmaking trade in the City of London and by an order of Common Council in 1463 trade was concentrated in the manor of Blanche Appleton, in the area of the present Guild Church of St. Margaret Pattens. In addition to its Charitable Trust the Basketmakers actively supports the three armed services with its involvement with 8th Battalion The Rifles, HMS Richmond and V (AC) Squadron RAF. The Company possesses not only a superb collection, extending more than three centuries, of plate, regalia and records, but many examples of basketwork, including some miniature Madeira baskets presented by the late Princess Royal when she became an honorary Freeman as was the late Queen Mary. HRH the Duchess of Gloucester is currently an honorary Liveryman of the Company. 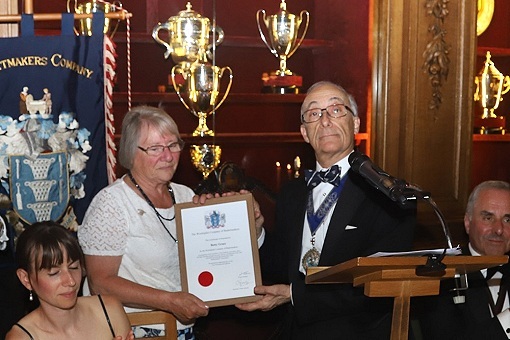 The Company is also a member of the Wet10 Group of City Livery Companies who have come together to raise awareness of the importance of water in all our lives.